This is a guest post by Matthew Duclos of Duclos Lenses. There's no doubt that all of the new cameras announced in the past couple years are very capable in their own field and will prove to produce many, many beautiful images. Regardless of your camera choice, everyone is going to need to find a lens that fits their style and fulfills their needs for a range of productions. Whether you're shooting a film school project or shooting a feature film, there is a balance to lensing your imagers. To help find lenses for professional camcorders like the RED SCARLET-X, Canon C300, Sony F3, and Sony FS100, I'll make things a little more simple by dividing the options into three categories. Don't feel obligated to throw yourself into one category or the other: it's not the tools that justify a creative project, but the way in which you utilize them. Indie - Low budget lenses suitable for users transitioning from still photography or new to cinema altogether. Intermediate - A medium between entry level lenses and exotic, professional glass. Higher build quality, lower cost. Professional - High end, exotic glass traditionally rented. Sometimes owned by career cinematographers. So you just blew your entire savings on a new Scarlet with an Eos mount and only have a few bucks left over for a lens to make images. Possibly the most cost effective option for such setup would be to use lenses intended for still photography. This would include coveted Canon L Series lenses and other Canon Eos mount lenses from manufactures like Tokina, Tamron, and Sigma. I used to write off such lenses since the auto focus was useless and you couldn't adjust the aperture unless the lens was being used on a Canon with an electronic mount. I still don't think that auto focus is a good idea for cinema, but then again, I haven't seen it work with the new Scarlet camera yet. A single zoom lens can be had for a couple thousand dollars and would cover a range of focal lengths that would suit your needs the most. If you're shooting a lot of scenic landscape images, you might want to opt for a professional wide-angle zoom lens, like the Canon 16-35mm f/2.8 L. If you are going to be shooting a lot of documentary material such as interviews and product features, you might want to consider something a little bit longer like a mid-range zoom such as the standard 24-70mm f/2.8L lens. Choosing a go-to zoom can be a cost effective option over having a set of individual prime lenses as you can just zoom in or out to obtain the desired field of view instead of changing the lens altogether. Try to avoid zoom lenses that ramp (vary in maximum aperture from wide to tele). For example, the Canon 70-300mm might seem like an awesome range, but the maximum aperture is f/3.5-5.6. The last thing you want is to zoom in a bit between shots to change your field of view and mess up your entire lighting because the lens ramped to a different aperture. A zoom lens may not suit your needs and you may want to step up to a set of prime lenses. Prime lenses can be a better option for cinematographers for several reasons: they can potentially have faster apertures and higher overall image quality. Traditionally, a set of cinema primes consists of an 18mm, 25mm, 35mm, 50mm and 85mm. It's pretty easy to comprise a similar set of lenses from a vast array of manufacturers, but it's best to pick one manufacturer and stick with them to match the overall look and feel of the lenses. Some still photo lenses are better suited for cinema than others, a more in-depth review of these features can be explored here: Still vs. Cine. There are a myriad of lens adapters that can be utilized on a range of cameras to get the lens you want on the camera you have. However, there are quite a few fundamental flaws that still photo lenses possess that can really hold back a cinematographer. Still photo lenses will get the job done, but may not meet the expectations of a working professional. Modifications can be made to still photo lenses to give them a little boost up the the intermediate level, which we'll go over below. Leica R 35mm, Leica R 50mm, Leica R 60mm, Leica R 90mm, Leica R 135mm.)) The same can be done for a wide range of still photo lenses including the older Nikon Ais series and even the new Zeiss ZF line of lenses. The Zeiss ZF line of lenses shares the same optical design with the CP.2 lenses but in a lesser housing. These lenses can be compared in more detail here: ZF.2 vs. CP.2. The Zeiss CP.2 lenses sort of straddle the line between intermediate and professional. The fact that they use glass from the ZF series and the aperture is limited to a mere T2.1 make them slightly less desirable. But they are well built, and consistent housings are a very nice feature. A step up from auto-focus still lenses, full manual control still lenses are usually built better with stronger, more reliable materials. Focus scales are usually much larger and feature a longer throw from close to infinity, and the marks are usually more accurate since there is no auto focus to rely on. They're obviously a bit more expensive than a common still photo lens, and usually a bit more difficult to find, but manual still lenses along with a Cine-Mod are a great intermediate option. To recap, this would include the Nikon Ais series, Leica-R series, and Zeiss ZF series, all very similar but vary in price and availability. Buying used lenses can be tricky so it's best to be careful when purchasing and always request a test period to avoid scams. There are a couple of newer lenses that can be had in a PL mount that still fall into the intermediate category. The Red zoom lenses, while the housings are nice and the lenses look professional, fall a little bit short in the optical performance department. These lenses can be found used and new at a very reasonable price. 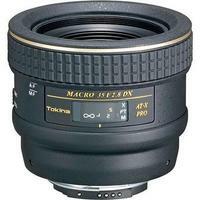 They will perform well enough and will allow an experienced user to get the most bang-for-the-buck out of such a lens. With optical and mechanical quality relatively similar to that of still photo lenses, Red zooms employ features found on many cinema lenses such as integrated focus, zoom, and iris gears, a PL mount, and large, easy-to-read focus distance scales. A little bit less accurate and not as reliable as a traditional cinema lens, the Red zooms are a pretty good way to get into the traditions and procedures found in a cinema environment. On top of all that, there is a slew of old PL mount glass just floating around. The possibilities are vast. Full-time professionals need lenses that can stand up to constant use in a working environment that may not always be in the lenses' best interest. High budget, costly shoots demand repeatable precision from lenses. The last thing a cinematographer wants is to hold up a shoot because a lens isn't working properly. Exotic manufacturers such as Zeiss, Cooke, and Angenieux have been in the business for decades and have refined their tools to produce high quality, precision lenses for the most demanding professional. Very few professional cinema lenses are offered in anything other than a PL mount. Angenieux and Zeiss have recently embraced the Eos mount and offered a few of their lenses with an interchangeable mount, and older Cooke zooms utilize a standard neutral mount that can be swapped to Eos as well. Leica recently entered the professional cinema lens market with their Summilux-C lens series, yet to be released to the public. Angenieux makes a wide range of lenses, from their relatively budget conscious Rouge DP series, to their award-winning Optimo line of lenses, Angenieux makes some of the best cinema zoom lenses in the world. Zeiss is known for their unrelenting precision, most recently found in the form of Master Primes. Cooke has marketed their old "Cooke Look" in a variety of options including the Cooke Panchros and the elite Cooke 5i primes. These professional lenses can range in price and quality quite a bit but all utilize standard features found in true cinema lenses. To go in depth in each lens would take several pages of writing, to be explored in the near future in a set of articles featuring manufacturer lens profiles. There are a number of underdogs in the world of professional cinema lenses including companies like Red, UniqOptics, Schneider, and Elite. All of these options will provide high quality optics, but may have a few features that are slightly less desirable than the others. Regardless of the manufacturer, professional cinema lenses are defined by their precision accuracy, high quality optical-mechnical design and, unfortunately, a generally high price tag. The options are becoming more and more vast with all the new technology being introduced to the world of cinema. Cameras come and go fairly quickly these days, but a good investment in high quality glass can last a lifetime. Choose the lenses that are right for you and don't be afraid to experiment a little bit. There are different lenses for different needs. Find what works best for you and use it until you can't achieve the results you're looking for. 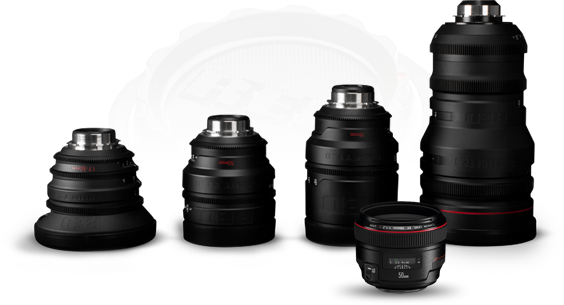 If upgrading to the next level will allow you to obtain the desired results, then you might want to consider the next step in motion picture lenses. Matthew Duclos: Interested in photography and optics at a very young age, I embraced my Fathers knowledge and learned as much as I could about lens service and maintenance. Throughout High School, I worked with my Father on weekends and holidays, learning and refining the art of optical-mechanical perfection. After High School I went on to work at a prominent Los Angeles camera rental house to learn more about the industry and gain some experience in a working environment. In 2002, Paul Duclos, my father, started Duclos Lenses and I joined the two-man team. Duclos Lenses has grown in size and capacity over the past decade and continues to do so. I will never stop learning and will always strive to out-perform the expectations of others. Very true. I shot the whole of The West Side on some cheap Nikon primes. eBay! 90% of The West Side was shot on a $70 50mm prime. Or check your local camera shop's used department, which is what I did (that way you can inspect the optics, focusing action, etc). I am little confused with the picture of the Sony FS100 with the red tape and Scarlet written on it. Can you explain? Matthew didn't have a Scarlet handy, and I originally asked him to write an article about lens options for the Scarlet. The FS100 with a sticker was a tongue-in-cheek stand-in, but then it became a more general post, so now the images don't make as much sense. I have 2 sets of Nikon AIS as well. 20 2.8 - 24 2.8 - 28 2.8 - 35 1.4 - 50 1.2 - 50 1.4 - 85 1.4 - 105 2.8 macro and 135 2.8. I had the 28,35,50 and 85 de-clicked and geared. Affordable and great images. I rent if I need "better" lenses. Helios 44M-6 on a Canon 7D! =) What do you think? @Koo have you every taught of doing a giveaway for like a 60D, 7D, 5D Mrk2 etc. Nice breakdown Matthew. Always good stuff. I tested the Zeiss ZF Primes (with Duclos Mod) and i love them!!!! Back to some old ( and not so old) DSLR lenses. I've used these over the past 3 years, while building perfect set for my 5D, but some of them would be perfectly fine on Scarlet. I'll eventually get the 50mm f1.4 to complete the set, but I don't personally like 50mm on FF, because it's boring. But sometimes I work for other ppl as DP/cameraman and they may want to use it. Paul, that action promo is well done man. I use a lot of "old" manual primes myself, so I completely agree with you. Awesome, thanks Palo! The 50mm may be "boring" but it is a workhorse. This is a very helpful post. I have a fs100 and is planning on buying a set of primes. I think I am going for the Nikon AIS primes. If I have extra money maybe modify some of them. Got an old Canon FD lens for cheap on ebay (and a $17 FD-MFT mount adaptor) for my AF100. The action on the lens for zooming and focus is beautifully smooth (compared to the 2 Lumix lenses I have). The aperture ring is still stepped, but I might see if I can remove that spring. The optics are okay. I got advice from a more experienced cinematographer who uses an AF100, and he says he has a swag of FD lenses because he reckons they give him a more filmic look. His comment about the EF lenses was that the EFs left him "cold". In other words, sharpness isn't always the first priority for the art. Having spent lots of money on the AF100, FD lenses suit my budget. I have a full set of fast (all f/2.0 or better) Canon FD SSC lenses that look great on my fs100. Some I have had in my bag for 20 years, others aquired from ebay. They still look as good as any of my EF primes, and are 100% manual. And don't forget the new super fast Illuminas http://www.lumatechinc.com/. Those of you looking to buy CP2's, wait. Zeiss is revamping the set, and the new iterations are much better than the current crop. I tested the new 100mm Macro, and it performs much more like it should. More ultra prime, less standard speed. The Zeiss contact mentioned that the bottom half of the set, the 18mm, 25mm, 32mm, etc, will be revamped and based on the 100mm's performance, they should be quite nice. CP's are great value for the money, despite the mismatched Tstops. Great article Matt, Ryan. Thanks. Thanks for sharing Timur! Do you know if they're going to be any faster? It seemed they are settling on T2.1 all across the board. I have a vague feeling the 18mm will a T2.8. Making an 18mm fast is difficult thus expensive. The 18mm Cooke iPanchros i have is $2,000 more than the rest of the set. Yeah, 2.8 makes sense for the 18. I like the idea of the CP2s because they're full frame, but didn't think the optics currently justify the 3X price of the ZF versions. Thanks for this very valuable tidbit! Any idea when the next versions should be out? i whant this canon.but this is in my cantri very expensive.canon all the time very nice. Wow, this info surely came in the 25th hour for me; I was just about to place an order for a set of 3 CP.2-lenses, but just wanted to check my e-mail first... So I am definately putting that order on hold until further information about a possible CP.2 mk II series arrives... Any news? A lens without Manual Iris Ring is called a pestle.